From Boston (2 Hours); Manchester (1 Hour); Concord (45 minutes) Areas I-93 N to Exit 25, Plymouth. Take a right at the end of the ramp. Continue straight until you come to North River Street – located just before the bridge. Take right on North River Street, then take the next right at the main entrance for the ALLWell North Center. The Outdoor Center main entrance will be immediately on your left. A reserved parking lot for Outdoor Center patrons is located in the parking garage. MapQuest® driving directions and map. From Portland Area (2 Hours) Take Rt. 25 from Maine into New Hampshire. Rt. 25 will join with Rt. 16 for a short while, but stay on Rt. 25 for the duration. In Center Harbor, take a right onto 25B. 25B rejoins with Rt. 25. Continue on Rt. 25 through Holderness, then take a right onto Rt. 175N. Take Rt. 175 into Plymouth. Continue straight until you come to North River Street – located just before the bridge. 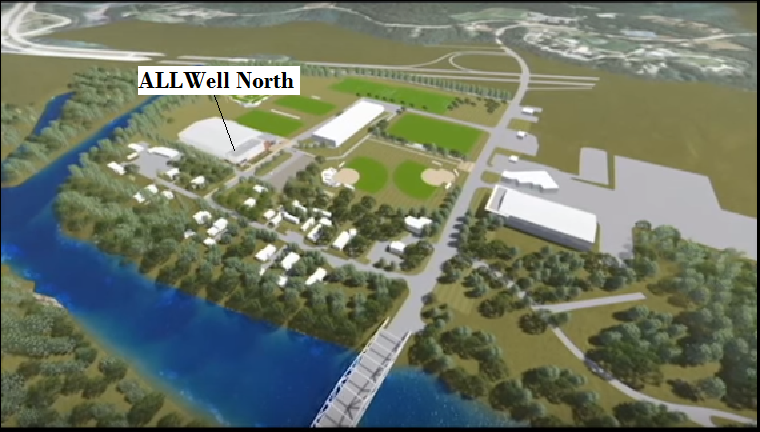 Take right on North River Street, then take the next right at the main entrance for the ALLWell North Center. The Outdoor Center main entrance will be immediately on your left. A reserved parking lot for Outdoor Center patrons is located in the parking garage. From Hartford Area (4 Hours) Rt. 91N to I-84 E. Mass Pike (I-90 E) to I-290E to I-495N. I-93 N to Exit 95, Plymouth. Take a right at the end of the ramp. Continue straight until you come to North River Street – located just before the bridge. Take right on North River Street, then take the next right at the main entrance for the ALLWell North Center. The Outdoor Center main entrance will be immediately on your left. A reserved parking lot for Outdoor Center patrons is located in the parking garage. From NYC, NJ & Points South I-287 N to I-684 N to I-84 E. Mass Pike (I-90 E) to I-290 E to I-495 N. I-93 N to Exit 25, Plymouth. Take a right at the end of the ramp. Continue straight until you come to North River Street – located just before the bridge. Take right on North River Street, then take the next right at the main entrance for the ALLWell North Center. The Outdoor Center main entrance will be immediately on your left. A reserved parking lot for Outdoor Center patrons is located in the parking garage. MapQuest® driving directions and map (from NYC). From Upstate NY and VT Rt. 4 to I-89 S to Exit 17. Rt. 4, Enfield to Rt. 118, Canaan. Rt. 25 to traffic circle. Continue on Rt. 25 for 3.5 miles. Take Rt. 3 to Plymouth Exit. Turn left onto Main Street (Rt. 3). Continue straight until you come a rotary leading you to a bridge crossing the river. Cross the bridge then turn left on to North River Street – located just after the bridge. On North River Street, take the next right at the main entrance for the ALLWell North Center. The Outdoor Center main entrance will be immediately on your left. A reserved parking lot for Outdoor Center patrons is located in the parking garage. MapQuest® driving directions and map (from Enfield, NY). From Albany Area (5 Hours) Mass Pike (I-90E) to I-290E to I-495N. I-93 N to Exit 25, Plymouth. Take a right at the end of the ramp. Continue straight until you come to North River Street – located just before the bridge. Take right on North River Street, then take the next right at the main entrance for the ALLWell North Center. The Outdoor Center main entrance will be immediately on your left. A reserved parking lot for Outdoor Center patrons is located in the parking garage.